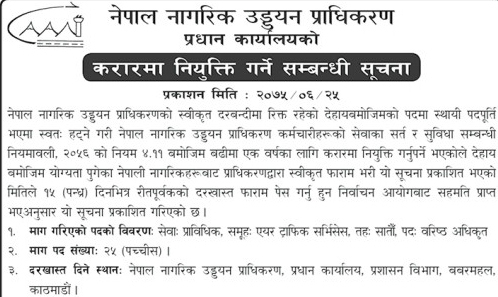 Job Vacancy in Civil Aviation Authority of Nepal. 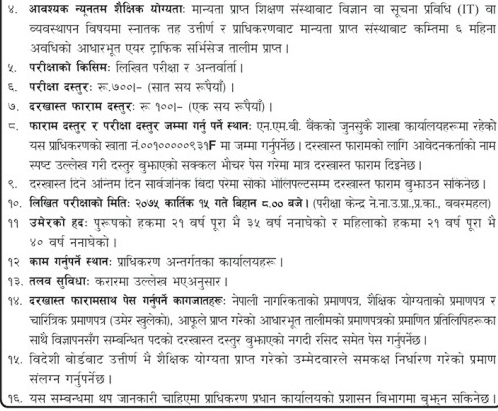 Below are the details of the Job Description. Please read the Job description carefully. Please read the Job description carefully and apply as instructed. Job Categories: Government. Job Types: Full-Time. 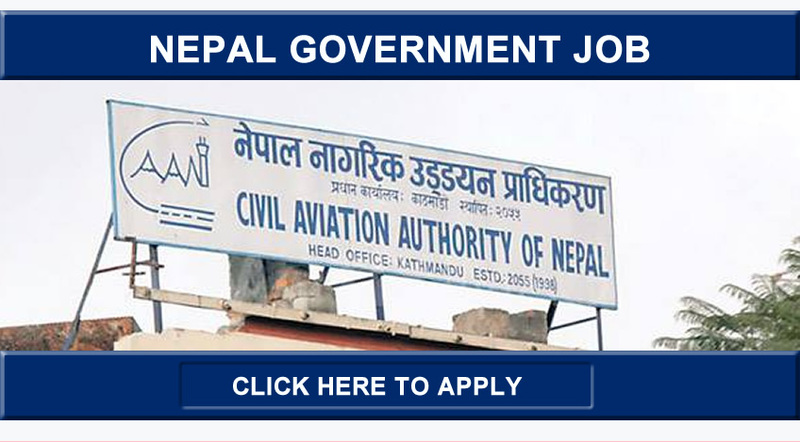 Job Tags: CIAA Jobs, Civil Aviation Authority of Nepal, jobs, Nepal, and Nepal Government Job. Salaries: Negotiable.